new source code samples: ASP.NETBarcodes from Live WebCam (C#) to show how to read barcodes in web application from live web cam added. Try ByteScout SQL Trainer - Learn SQL in this free online simulator! 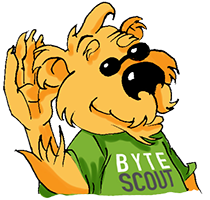 ByteScout Data Playground - upload CSV and sort, filter, view data using natural language. PDF.co - Free Online Data Extraction Tools with API e-signatures, invoices, pdf, barcodes, spreadsheets, documents tranformations. No credit card required. Try ByteScout SDK for Software Developers - Offline Data Extraction, Barcodes, Spreadsheets Components. Free 60 Day trial.